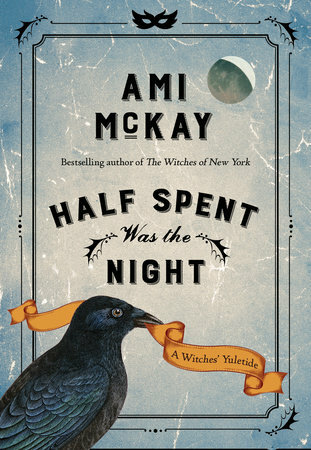 This short novel follows the characters introduced in The Witches of New York, which I haven't read yet. It takes place beginning on December 29th, and ending on January 1st. The year is not specified here, but it is obviously in an earlier time. There are three witches living together, Adelaide Thom, Eleanor St. Clair, and Beatrice Dunn. They receive invitations to a grand masquerade ball from a new arrival to New York. The ball is to take place on New Year's Eve, and the attendees are to RSVP in person at the hotel. Two of the witches are eager to go, but the third is not. All of the witches have questions on their mind. One about dreams she has been having that seem to point to something in her future. One about what choice she should make for her future, and one about choosing between a faraway love and what she feels are her responsibilities. The woman hosting the ball is an unknown, and yet she seems to know a lot about all three women, as well as about many others in town. Past figures are likely to appear at the ball, but sometimes that past must be faced before one can deal with the future. I loved this tale, with both the situations each woman was facing, the magic so evident here, and the strong relationship these women have with each other. A great read.